The close of the 2015 college season brought the University of North Carolina their first national championship in program history. After reaching the quarterfinals and finals finishes in the last two seasons, their 15-6 blowout victory over Oregon signified the culmination of years of building for Darkside. But during the 2015 regular season, UNC looked good, but not dominant. How did they suddenly turn in a deadly efficient postseason performance at Regionals and Nationals? 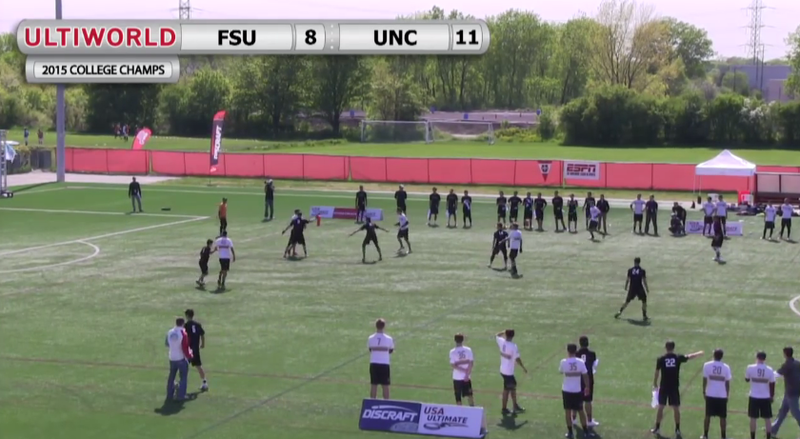 To be more illustrative, how did Darkside go from losing 11-15 to eventual semi-finalist Florida State at Easterns, to beating them 13-10 in the Pool of Death? 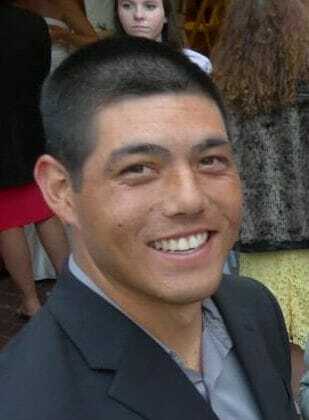 What helped them reverse their 12-15 loss to UNC-Wilmington at Conferences to a 15-7 demolition in the Regional final? While there is no simple answer to this question, it would be remiss not to address the long-term strategic approach adopted by coach Mike DeNardis this year. As many who followed College Nationals might have realized, Darkside used two junk zone looks to great effect, particularly in their run through the bracket. Against Colorado, Central Florida, and Oregon, UNC came down in clam or a trapping zone on about 75% of their D-points. These junk looks, particularly in the wind and rain of Sunday and Monday, were devastatingly effective. Why? Before the finals of Regionals, UNC did not throw their junk defenses at all. Their regular season consisted of a strong — almost singular — focus on man defense, with occasional variation, but no use of the looks that they would use most heavily in the postseason. While the idea of not tipping one’s hand is nothing new, UNC likely took it further (and to more success) than most others ever have—and it may signal a shift in the strategic approach of other high-profile teams. DeNardis, like many top coaches, admits that he spends a significant amount of time watching tape and scouting top teams during the season. “I’m dissecting teams throughout the year,” said DeNardis. “I take the top ten teams and figure them out throughout the year.” There’s no reason to expect that a high-profile team like Darkside would receive any different treatment. And, in an era of college ultimate with more video footage available than ever before, the strategic advantage of playing your system close the vest is becoming more valuable. Limiting your team during the regular season and Conference play is not without risk, but Darkside found reasonable ways to work around these potential pitfalls, given the tools at their disposal. The most obvious hurdle in throwing a defense at Nationals that you haven’t played in the regular season is the question of whether or not it is game-ready. Playing a defense in practice against your own plays is one thing, but playing it against an elite-caliber team with varying skill sets is quite another. Fortunately for Darkside, the AUDL’s Raleigh Flyers and local club team Ring of Fire were conveniently located and willing to help Carolina practice their sets against elite players. And, while most club teams are willing to help out their local college programs, it probably didn’t hurt that DeNardis coaches for both Ring and the Flyers. The other concern, which could have been crippling, was that Darkside might have been in danger of not earning a bid for the Atlantic Coast region. Similar to a baseball team trying to rest its best pitcher for game 7 of a series, Darkside could have been put in a dilemma had their regular season gone worse than expected—would they have sacrificed their ace in the hole to get a little bit of breathing room with an extra bid, or would they have kept their secret and trusted in their ability to win in the series? Luckily for UNC, they never had to make the decision as their deep roster and man defense (coupled with a Jon Nethercutt-led O-line) kept them plenty competitive during the regular season. 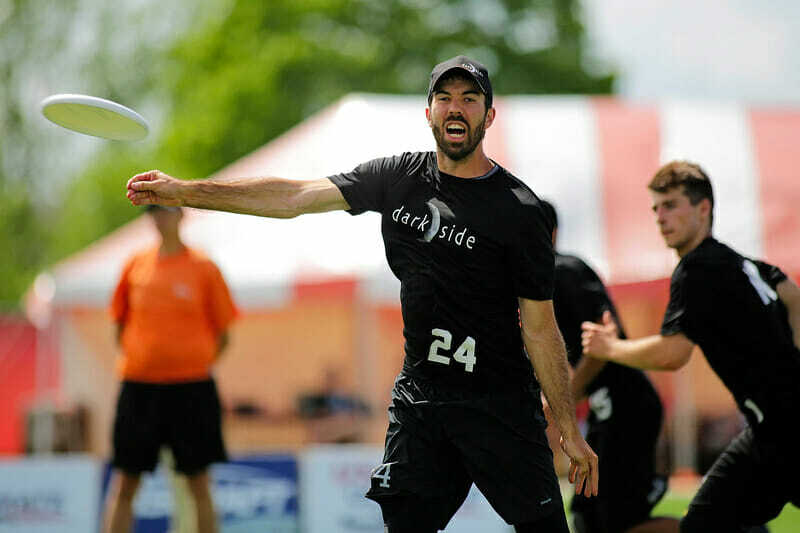 Darkside also took a gamble, albeit a much more common one, to rest star defenders Tim McAllister and Vikram Sethuraman through small injuries during the regular season to have them completely healthy and ready to play major points at Regionals and Nationals. It is also worth examining what the junk looks themselves look like and why they were so effective. To preface, these are not magic-bullet defensive sets; they’ve been used before, even occasionally by UNC in past seasons. Darkside’s success was derived from their ability to play them with discipline and practice, their opponents’ lack of preparation for the strategy, and a strong D-line offense. The two main junk defenses that Carolina ran were a clam (man-zone hybrid) and a more zone-like trap cup. In clam, Darkside plays man defense on the handlers with a three man wall downfield where the defenders guard the open, middle, and break spaces underneath with a deep defender behind them. The zone look is more sophisticated: in the middle of the field, against a horizontal stack, the mark in the middle is flat or slightly shaded, and the two handler defenders flex into the throwing lanes to take away down field throws. If the offense takes either of the free swings to the sideline, the mark from the middle of the field, the flexed handler defender and the middle of the downfield wall form a loose trap cup around the handler while the far-side handler guard comes over to play tight man defense on the first reset. This look leaves the over-top to the far side handler exposed but, luckily for UNC, the wind at Nationals deterred many teams from taking that shot. Indeed, the wind was a bit of an eighth man for Darkside in Milwaukee, making the free throws the junk looks left open much less viable, and making the continue throws after breaking through much more difficult (case in point: Oregon’s numerous turfed discs in the finals). It’s also interesting to note that UNC’s three bracket-play opponents (Colorado, UCF, and Oregon) are not teams that are known for their junk sets (meaning they have less practice with them), and are all squads who throw good breaks and hucks. A junk look obviously mitigates these strengths by poaching the break and deep spaces. But, again, Carolina is not a one-trick pony and it’s rooted in their big-picture approach. Darkside’s junk look was almost always transition, and they earned many of their blocks on the shift into tight man D, which they stressed all regular season. Their 1-6 guys on the D-line (Ben Snell, Tim McCallister, JD Hastings, Vik Sethuraman, Nick Macleod, and Nathan Kwon) are as good as any, and give their opponent trouble regardless of how they are deployed. All this aside, the understated key to the success of UNC’s junk might have been the fact that it let Jon Nethercutt play even more than he usually does. Nethercutt is great defender (he led Darkside in recorded blocks) but everybody gets tired running every point (even Chris LaRocque). As a wall-defender in junk, Nethercutt has to run much less than he would guarding a downfield cutter or an active handler. Additionally (and more importantly), Nethercutt made the D-line offense for Carolina run. Having him and Snell playing both ways, UNC can effectively play their O-line offense on defense. The other five players have to be fast and smart to get open, but UNC has a stable of strong cutters. Nethercutt and Snell make the hard throws, and by playing a system that lets them play defense without getting too tired to also play offense, UNC’s D-line becomes deadly efficient. And, when things got rough for Carolina, both players could throw it a mile and dare the other team to try and play 70 yards against suffocating D. Keeping the D-line offense less dependent on the Nethercutt/Snell battery during the regular season built up the skills and experience of the cutters, which only served to bolster D-line effectiveness when the big guns were added in. Mike DeNardis and Darkside were playing chess this season. They played the big picture, placing less stress on the regular season and keeping their eye on the overall prize. The approach was not without risks, but it paid off in the end. It remains to be seen if other teams will have the confidence or the tools to make a similar play in the future, but one thing is certain: it was the right call for the 2015 National Champions. Comments on "Playing the Long Game: How UNC’s Hidden Zones Yielded Big Results"